Originally Published in DeneenBorelli.com on 11/30/14. 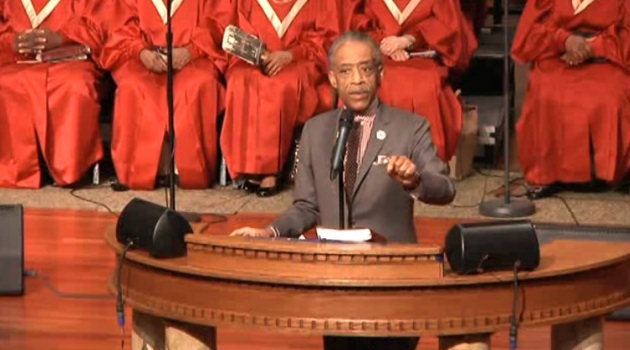 Using boxing imagery in a church sermon is clearly not appropriate. Sharpton will bring his message of victimization and conflict to any venue including a church to promote his self-serving agenda. Amazing what they will demonize other Preachers for saying at the pulpit and threaten them with violation of their 501c3 status, but then turn around and preach a similar message but it's okay because their's aligns with their purpose, political and financial purpose.